FansofXShore gives you an opportunity to invest in a 100% electric boat made in Sweden. FansofXShore gives you an opportunity to invest in a public company that will provide funding to X Shore as a manufacturer of 100 % electric boats made in Sweden. xshore.com has been nominated for "Best User Experience" in the international renowned Webby Awards. 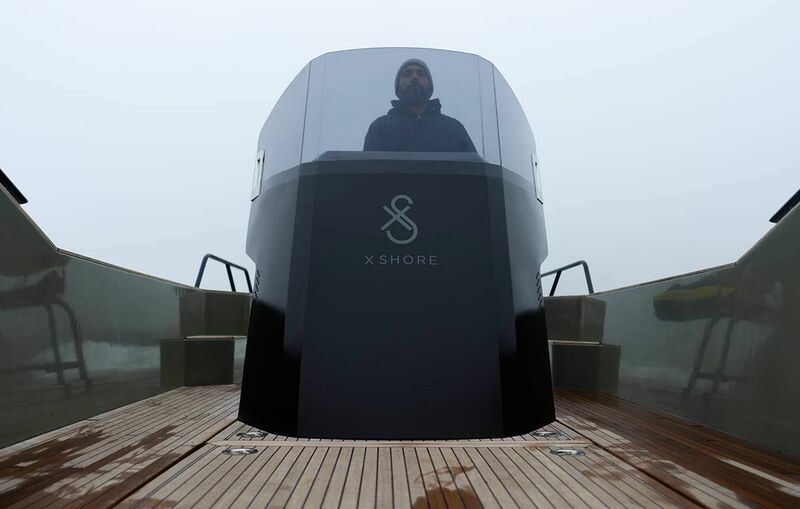 Rooted firmly at the intersection of new technology and traditional craftsmanship, X Shore strives to bring sustainability and innovation to the marine industry by manufacturing 100% electric boats. Uses a groundbreaking propulsion system. Details coming soon. Electric power produces a minimal carbon footprint compared to fossil fuels. This in turn helps to combat climate change. Additionally, few people enjoy being around the undesirable elements of a fossil fuel engine. Toxic fumes and disruptive noises are ban- ished entirely with electric power, letting you focus on more important things such as the surrounding nature as your craft quietly glides through the water. X Shore crafts a fusion of software and hardware – practical, smart and beautifully designed to blend in with nature. 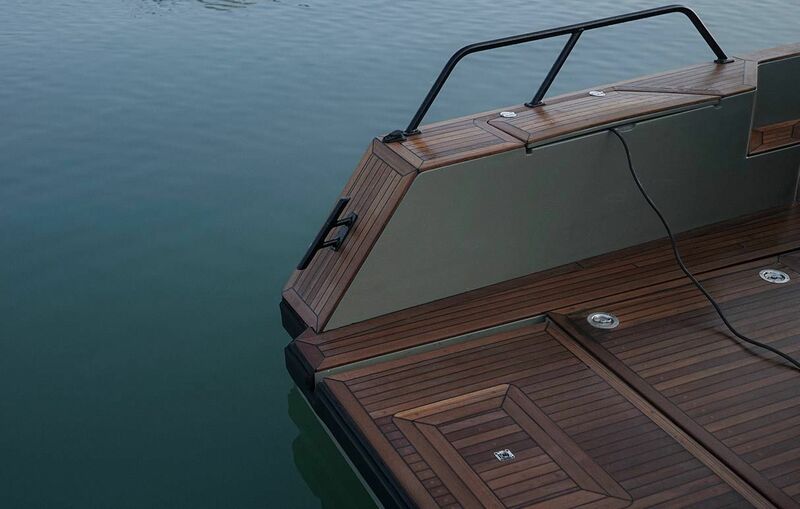 Inspired by the the Electric Eel, each X Shore craft features a modular interior and hull that is optimized for efficient passage through water. Outstanding acceleration and speed in combination with distance traveled is key for a modern lifestyle on the water. In private testing, X Shore crafts have traveled at speeds of up to 40 knots. A consistent speed of 25 knots can be achieved when cruising for more than 2 hours, and a distance of 100 NM can be reached when traveling at lower speeds. The ornament, in 100% bronze, symbolizes the Electric Eel, which inspired our design and technology. It was created in collaboration by two artists; drawn by cult tattoo artist William Pacheco and sculptured by Johan Ferner Ström. In saltwater and with time it will naturally turn green and become one with nature. In 1996 I trademarked X Shore globally, however it would be sometime before its development began. In fact, it wasn’t until 2012 that I began to work with the idea of creating an electric boat. In 2016 we built our first working prototype, and in 2018 my dream was realized when X Shore launched the Smögen 8000. The name X Shore is very personal to me. “X” meaning “cross,” as in “cross shore.” In many ways the name represents my journey from one business to another – the eager explorer ready to anchor on a new shore. 7 March, 2019Projekt Ledare till X Shore! 7 March, 2019Innovativ Teknikutvecklare till X Shore! 7 March, 2019PR/Media ansvarig till X Shore! 7 March, 2019Designansvarig till X Shore! 7 March, 2019Junior designtalang till X Shore! 7 March, 2019Säljare till X Shore! 7 March, 2019Chaufför till X Shore! 7 March, 2019Konstruktionsansvarig till X Shore! 7 March, 2019Redovsiningsekonom/Controller till X Shore!